- Medik8 Titanium Dermaroller (0.3mm) Yes, those are tiny litles spikes and yes, there are lots and lots of them and YES IT HURTS. I had a dermaroller treatment with a clinician about six months ago (medical use dermaroller needles are sized between 0.5mm and 3.0mm and can only be used by an experienced clinician as the needles obviously go a lot deeper into the skin, home-use dermaroller needles - such as mine pictured above - are between 0.2mm and 0.3mm) and it was, by far, the most painful beauty treatment I have ever experienced (brazilian waxing, eyebrow tatooing and botox included), so much so that I've been put off going back as it was genuinely that painful. But, my friends, BUT - the results were amazing. 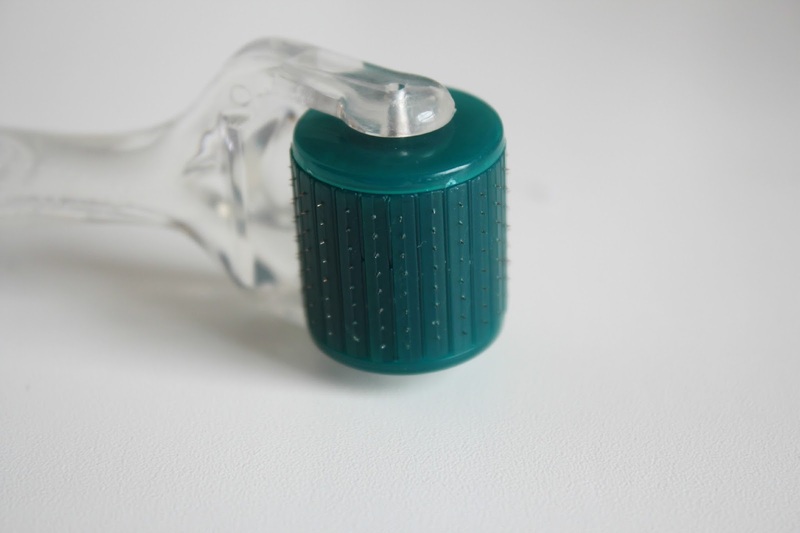 The way that dermaroller/skin needling works is, as you roll the roller over your skin, numerous, ultra-fine micro-needles designed to penetrate through the epidermis create microscopic punctures on the skin’s surface. By opening the skin in this way you not only dramatically increase the penetration of any topical product, increasing its efficacy, but you also create miniature perforations that stimulate the skin’s healing mechanisms. Skin Needling allows for controlled induction of the skin’s self repair mechanism by creating micro-“injuries” in the skin which trigger new collagen synthesis, yet does not pose the risk of permanent scarring. The dermaroller treatment I had in the spa left my skin looking bright red and feeling sore and tight for about 2 days but for weeks afterwards was smoother, plumper brighter and far less oily. 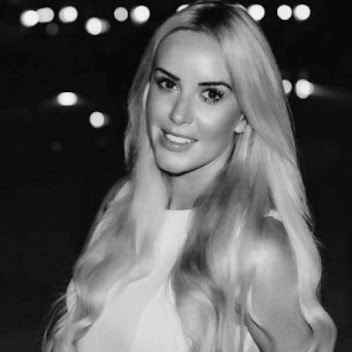 After my original treatment I had two beauty therapist friends absolutely RAVE to me about their at-home dermarollers (one was using it for her wedding and the other just loved 'going to town with it because the results are so damn good!') so I decided I would definitely invest in the at-home dermaroller in an attempt to increase collagen production and keep my skin looking plump and reduce my fine lines, reduce the oiliness of my skin and enhance the penetration of active ingredients from my skincare and serums as it's meant to lead to massive increase in their efficacy. I find this really painful to use. It's unpleasant but not unbearable - I have to psych myself up to do it and I have to do it holding my breath, gritting my teeth and scrunching my eyes firmly shut. You roll the roller across each section of your about 10 times until all of your face has been needled - there should be no 'white bits' left on your face - you should look pink/flushed all over by the time you are finished. Besides looking flushed your skin will feel hot and tight (similar to after a day at the beach) and sometimes there will be the occasional drop of blood from the needles. I apply my skincare immediately after using the dermaroller and it always stings slightly, which for me makes me feel like the skincare is really penetrating into my skin. My skin always looks better the day after using this and definitely makes my nose less oily throughout the next day. My absolute favourite, almost miraculous benefit that I have found from this is that it, genuinely, extends the life of my botox/temporarily gives you a botox effect. If I use this on my forehead for the following few days I will see a marked difference in my expression lines which never fails to astound me. I am really, really impressed with this product and as a stand-alone product for increasing skin smoothness and plumpness and decreasing oiliness and fine lines it's great PLUS it just makes everything else that you use with regards to skincare work better. Sadly I have not found it has made my few acne scars disappear (I have yet to find anything to do that) but it has improved my skin overall. The dermaroller does nothing for active acne/blemishes and it is actually advised not to use it if you have acne or a breakout as it could spread the bacteria. RRP is between £40-50 pounds (plus you need to buy sterilising solution to be used after each time you use it). You can buy online but I purchased mine from Jill Zander and would recommend if possible, purchasing from a spa/salon to ensure it is a genuine product. I am currently using this about 1-2 times per week and am aiming to increase this to between 3-5 times a week. You need to slowly build up your skins tolerance to this gadget, much like any form of stronger skincare like retinol. I was kindly sent this a good few months ago to trial to help me attempt to win the battle with a confusing spate of pesky chin breakouts. There is a lot of talk in the beauty world with regards to harnessing the power of light to treat various skin conditions and before using this I had often received red light therapy after various facials, so I knew that light therapy was a great way to help the skin. The Lustre Pure Light Classic harnesses the safe, natural blue part of the visible light spectrum and uses clinically proven technology to eliminate spot-causing bacteria, while also being gentle on skin. I wont get too much into the sciencey-bit (you can read more here) but in a nutshell,the bacteria that cause acne produce a chemical called porphyrin. When blue light is applied to this porphyrin it becomes excited or 'active', this active porphyrin then attaches to the spot causing bacteria and begins to destroy it. The device is rechargable and portable so you can take it anywhere with you and you can wear it as you go about your normal evening or weekend routine (might look a BIT strange wearing it in the office or on the tube...!) - you don't notice the blue light ones the pads are attached to your skin. You simply attach the three pads which onto the skin using adhesive strips and leave to work for an hour. I used this on my nose and placed the other two either side of my chin. You need to place the pads in roughly the same place every time to see an improvement in that area and you need to wear it daily for 60 minutes for 12 weeks to see the benefits. 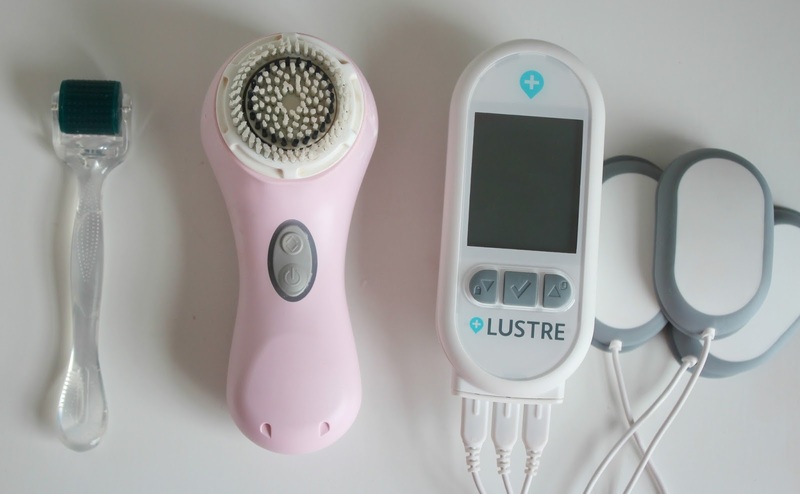 This might be a bit of a pain for some people so there is a new, improved device called the Lustre Pro which you only need to wear for 20 minutes a day! My only issue with this is that for acne sufferers with acne all over the face perhaps there should be more pads - so as to cover the entire face. As I mentioned above, the dermaroller is fantastic for overall skin improvement but is not to be used when suffering from breakouts and does nothing to improve acne (it can even worsen it!). Since using this device I have seen a significant decrease in the blemishes appearing around my chin and jaw area - at this moment in time, I have been blemish free for two months! This device has no side effects - no pain, no redness, no dryness or flakiness commonly associated with other acne treatments. 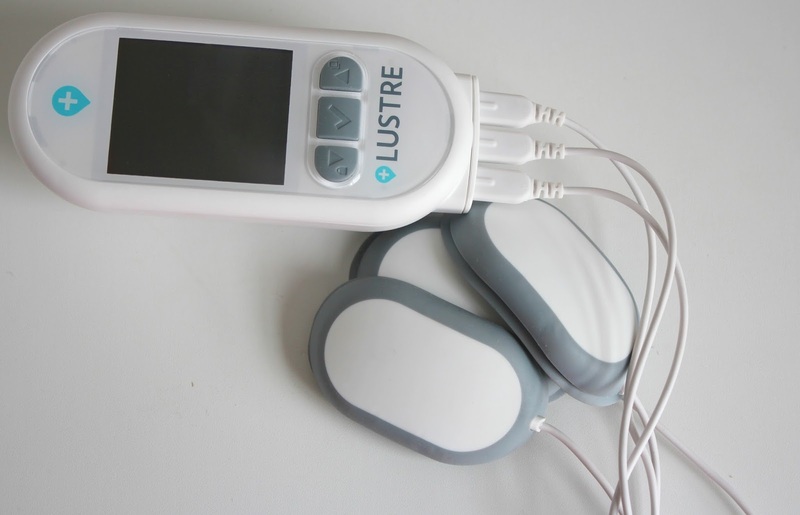 Lustre Pure Light classic works best when be used in conjunction with other treatments and medications and can speed up the results of any acne programme. Thankfully, now I am not suffering from blemishes (touch wood for me please) but my brother does suffer from active acne and has actually just started taking Roaccutane - and I will now be lending this to him to see if he can benefit from it. I will be following his progress and blogging that at the end of the year. 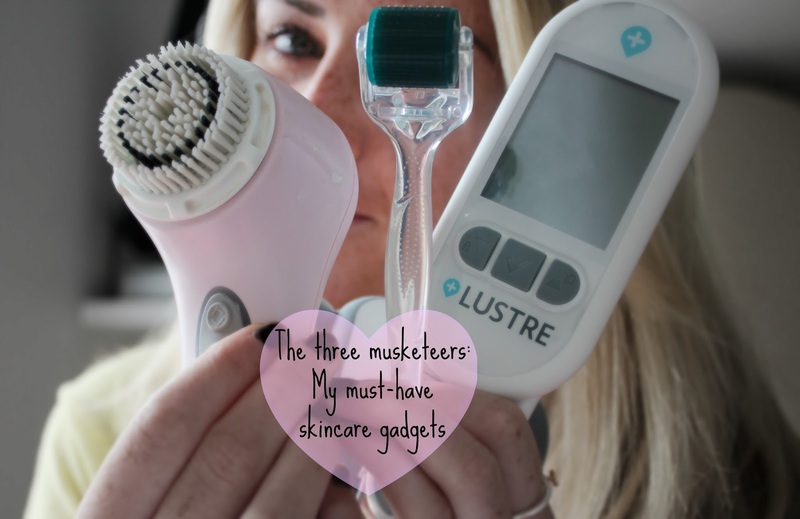 The Lustre Pro is exclusively available through skincare specialists and clinics. The Lustre Pure Light Classic is available online for £249*. I know I'm a bit late to the party on this one as every blogger under the sun seems to have one of these babies. I kept spying them whilst out shopping and thinking to myself 'Oh I MUST get one of these Clarisonics that everyone is raving about' and on one such shopping trip, to which I had dragged my boyfriend (kicking and screaming) along to, I spotted one again and explained to Iain in great detail to him how this was the new 'Blog wonder product'. After listening to my epic spiel he declared it the 'face toothbrush' and henceforth referred to it as the 'face toothbrush' (which I am now doing too!). 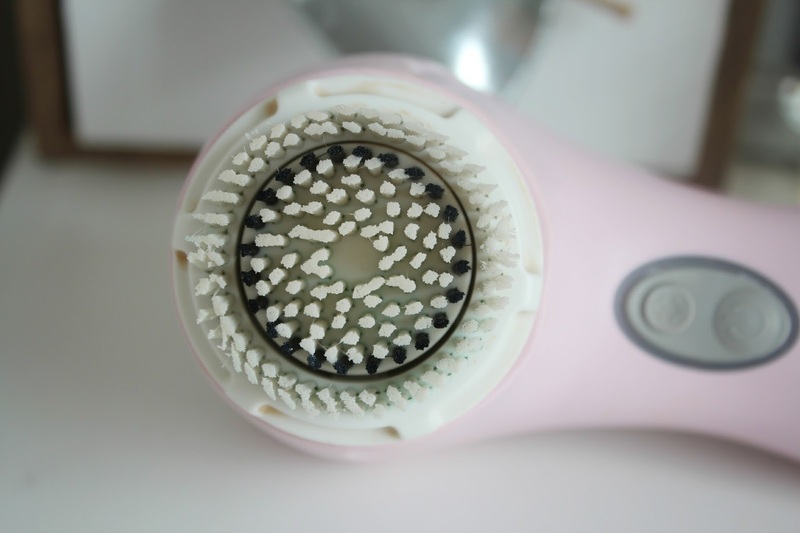 Happily though, on our two year anniversary in May said 'face toothbrush' had been purchased by him (boyfriend brownie points or what) and thus began my love affair with the Clarisonic Mia. Except, that's a bit of a lie. I took it out of the box and threw away the box and instructions because THAT'S THE KIND OF BADASS I AM, and then because I couldn't immediately work out how to charge it and didn't have the instrutions I ended up giving up and forgetting about it until July - oops! When I finally figured it out how to charge it (I youtubed it - turns out on the front it has a little circle and the charger attached to that circle on the front like a magnet- who would have guessed that!?) and left it overnight I began using it every night and have.not.looked.back.since.movements per second to clean, soften and smooth skin. I really do love it. I have always double cleansed anyway with a makeup removing milk followed by a balm/face wash followed by a toner and was always shocked to see how much makeup still remained on my face after double washing, as shown by the orange-ness of the cotton wall after applying my toner. Since using this you can see and feel that the skin is thoroughly, 100% clean (no icky orange residue on my cotton wool after applying my toner) and I adore how smooth, refreshed and clean it leaves my skin feeling and also just knowing that I have removed every single trace of makeup and grime from my face. My face is never tight, sore or red after using this so it is a gentle and effective method of cleansing. I read some reviews that warned of a 'purging' stage, where any under the skin spots were bought to the surface by the deep cleaning of the clarisonic, but I can happily report that no such thing happened to me. I use this on the higher setting at night time and the lower setting in the morning. The Clarisonic Mia has been a great daily addition to my skincare routine and I don't feel like my face is properly clean unless I use this. I believe this has had a dramatic effect on my reduction in breakouts (in conjunction with the lustre pure light classic) as my skin is thoroughly clean, and it definitely leaves my skin softer and smoother. It has not had a visible effect on my pores (nothing ever has!) but I can notice a difference with regards to sebum/oiliness (not as drastic as with the dermaroller, but a noticeable improvement). Be sure to clean it after each use (as, if you wear a lot of bronzer like me the bristles will be bright orange after each use!) and remember you'll need to charge it every 2 weeks or so.